John Mellencamp's career in music, spanning more than 42 years, has seen him transition from pop star to one of the most highly regarded songwriters of a generation. Filmed at the landmark Chicago Theatre, just 250 miles away from his upbringing in Indiana, this cinematic concert documentary film captures John Mellencamp reflecting on his career accompanied by self-narration from his highly personal audio diary on his Midwestern upbringing, career and outlook on life as a whole. Meant to be more than just your run of the mill concert film, this intimate performance with full band will fully envelop the viewer into the Mellencamp mindset. "My vision was true, and my heart was too. And there was no end to what I could dream. Life is short, even in its longest days." 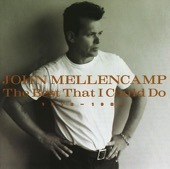 © © 2018 John Mellencamp exclusively licensed to Eagle Rock Entertainment Limited.